KCR, who followed the Telangana versus Andhra Pradesh script for much of the campaign, claimed the alliance with Chandrababu Naidu's party hit Congress' performance. The rivalry between KCR and Chandrababu Naidu dates back to the statehood movement. K Chandrashekar Rao, the runaway hit in this round of assembly elections, said the people of Telangana have voted for "development". Mr Rao's party is leading in 88 of the state's 119 seats, far outstripping the Congress-Chandrababu Naidu alliance. Mr Naidu has already bowed to the will of the people and congratulated KCR, as the Chief Minister is popularly known. Emphasising the development narrative started by the BJP, Mr Rao said, "We will work towards eradicating the poverty in the state". Over the last four-and-a-half years, the Chief Minister's welfare measures have covered every section of the society: farmers, unmarried women, livestock owners, fishermen, the economically deprived, the ailing and the elderly. But the remark of his party leader T Harish Rao, who won from Siddipet, was telling. "It is the people's victory. They have once again upheld the Telangana pride. KCR has proved correct that people will win," said Mr Harish. The Chief Minister, who followed the Telangana versus Andhra Pradesh script for much of the campaign, claimed the alliance with Mr Naidu's party has hit the performance of the Congress and added to his success. The alliance is likely to scrape up just over 20 seats. The rivalry between Mr Rao and Mr Naidu dates back from the statehood movement. 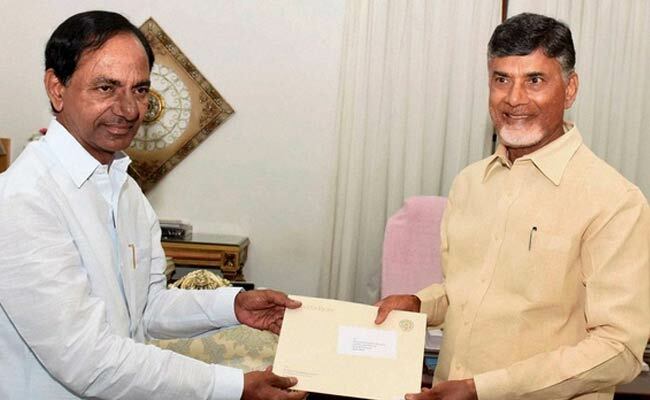 After Telangana was carved out and the election that followed, KCR managed to prise off 12 of Mr Naidu's 15 lawmakers to his party, leaving the Andhra Pradesh Chief Minister with a shrunken base in the new state. This time, Mr Naidu had contested only on 13 seats, leaving the rest to alliance partner Congress. The Congress has responded to Mr Rao's claim on the alliance with Mr Naidu. The alliance - which ended decades of rivalry between the two parties -- will remain, the party said. Mr Naidu has taken on a vital role in the opposition - bringing together parties that have been political rivals - for a common cause, defeating the BJP in next year's national election. The TDP claims even that has added to the negative image of Mr Naidu in Telangana. "Mr Babu tried to hide his failures in Andhra Pradesh, he hijacked the mahagatbhandhan and jumped in to campaign in Telangana," said Mr Rao's daughter K Kavitha.